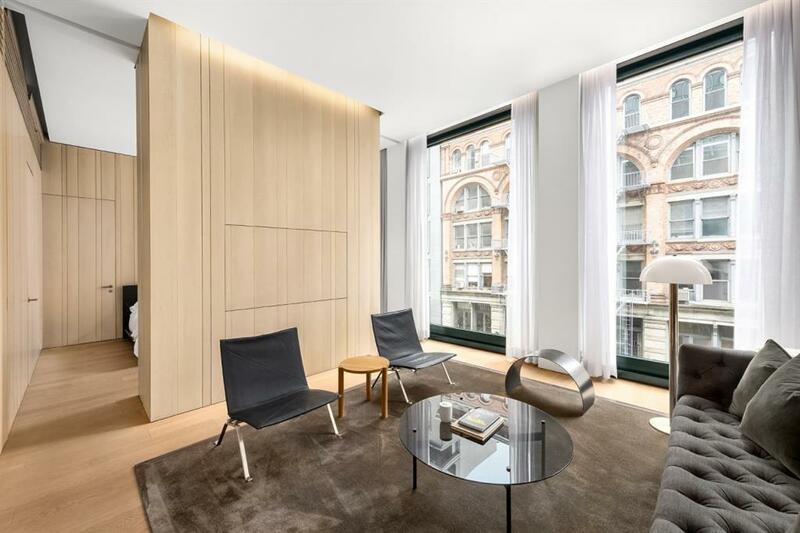 40 Bond Street is located on Noho's prized block, sandwiched between Soho, Nolita, Greenwich Village and The East Village. Designed by Pritzker Prize-winning architects Herzog & de Meuron in collaboration with Ian Shraeger. 40 Bond instantly became a landmark masterpiece of modern architecture. 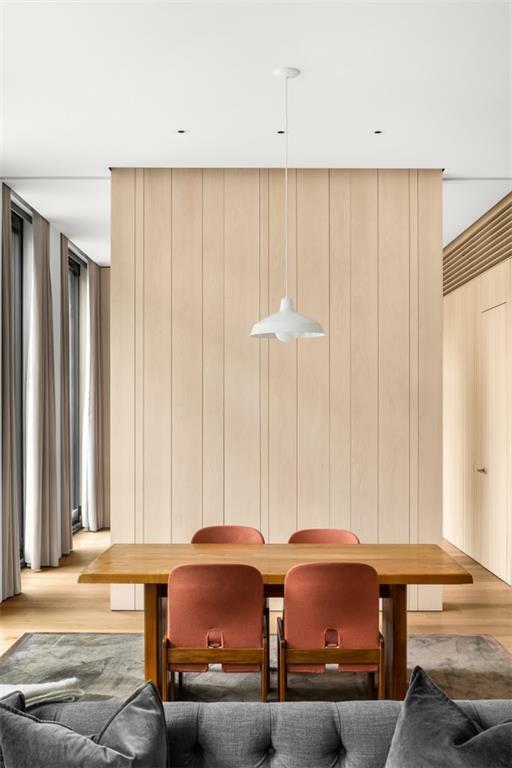 Designed by world-renowned architect John Pawson, this 1,382 square foot split two-bedroom residence features two bathrooms, powder room, and southern exposure through nine 11-foot floor-to-ceiling windows. From custom striped maple and Macassar wood cladding to a dramatic lighting and shade system by Lutron, no details have been overlooked in this custom home. The elegant yet understated kitchen is tucked off the living area featuring custom white and Austrian smoked Oak cabinetry with glacier white Corian countertops, backsplashes, and double basin sinks punctuated by a fully integrated Sub Zero refrigerator, and a Miele dishwasher, cooktop and convection oven. The master bathroom includes a Herzog & de Meuron-designed wet room sculpted out of seamless white Corian. Floors, kitchen cabinetry and master bathroom are finished in Austrian smoked oak. 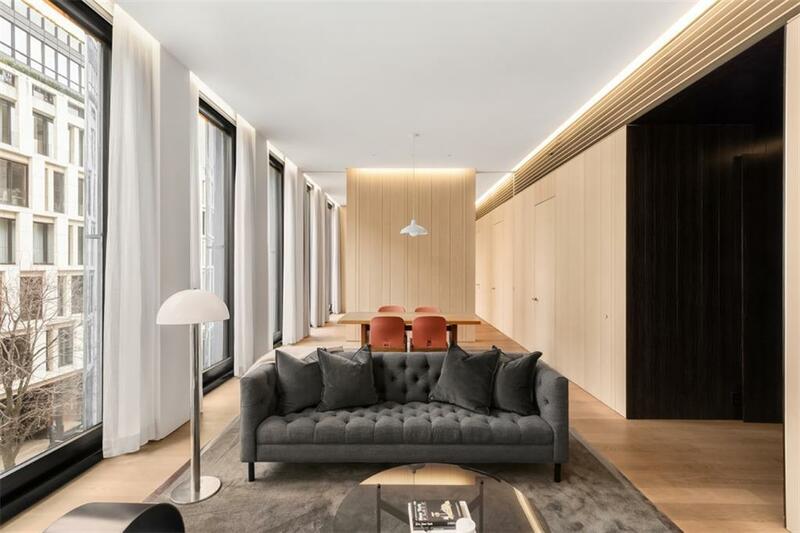 A 24-hour doorman and concierge, sleek gym and private garden are some of the amenities of this trophy residence. 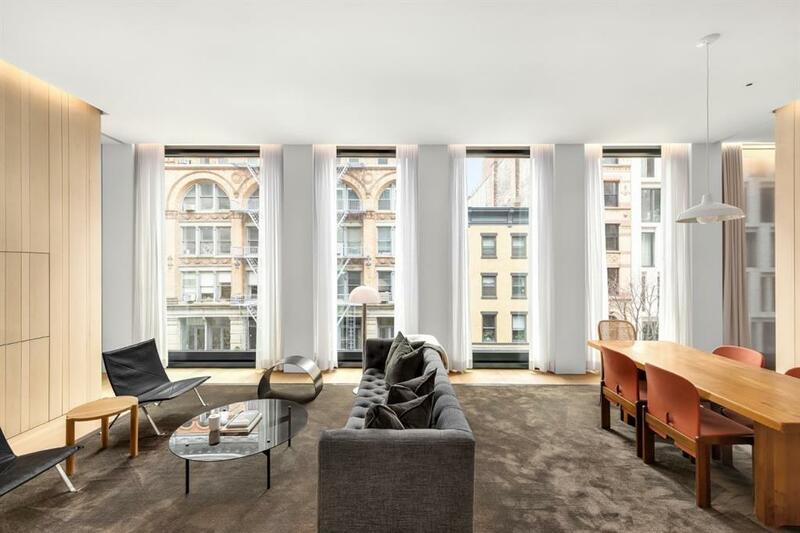 40 Bond is a highly sought after residence in the heart of one NYC's most vibrant neighborhoods, with unprecedented convenience to a vast variety of retail, restaurants, museums, entertainment, transportation, moments from newly renovated Cooper Square Park, and so much more.